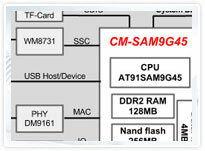 CoreWind CM-SAM9G45 processor card is a compact ARM embedded controller based on 400MHz Atmel AT91SAM9G45 ARM 926EJ-S microcontroller which is designed to provide a high performance processor solution with a high flexibility for general and multimedia oriented applications. 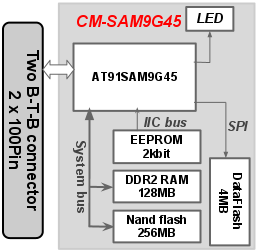 The CM-SAM9G45 processor card has external 128MB DDR2 SDRAM, 256MB Nand Flash, 4MB Dataflash and 2Kbit EEPROM on board and many peripherals like UART, Ethernet, USB, LCD, Touch screen, SDIO, JTAG and all IOs are brought out by two B-To-B 100Pins connector female headers which is convenient and flexible for customer’s secondary development work. 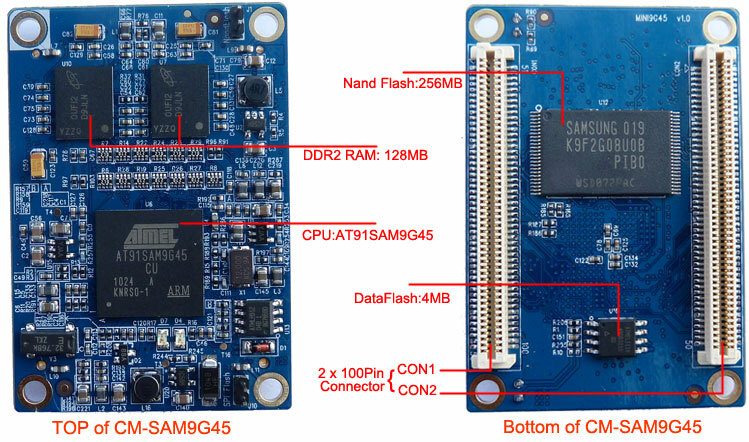 CoreWind also designed one expansion boards to bring out connectors for implementing and extending the functions of CM-SAM9G45. 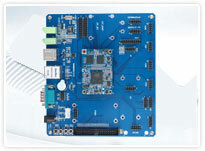 The boards are called SBC-SAM9G45 single board computers. 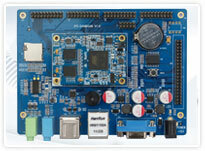 CoreWind offers Linux 2.6.30 for the boards. 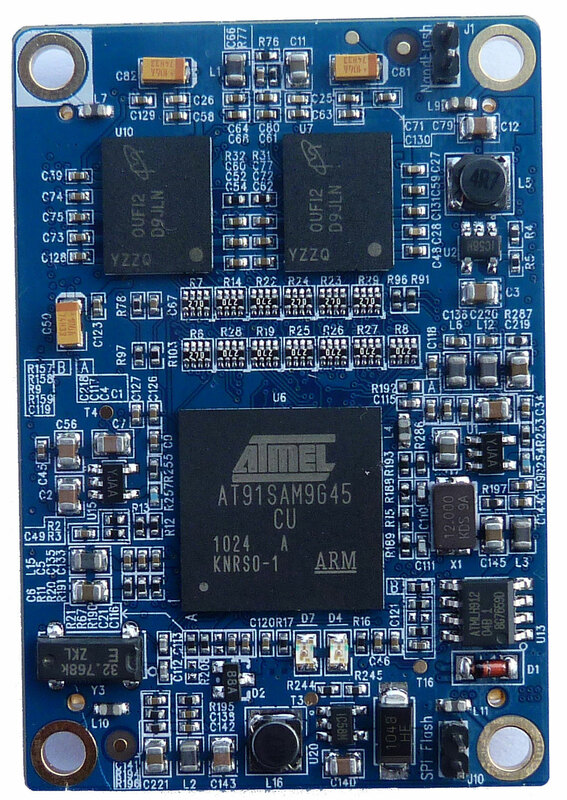 They are high-performance single board computer for industrial needs. 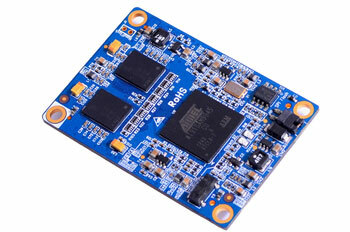 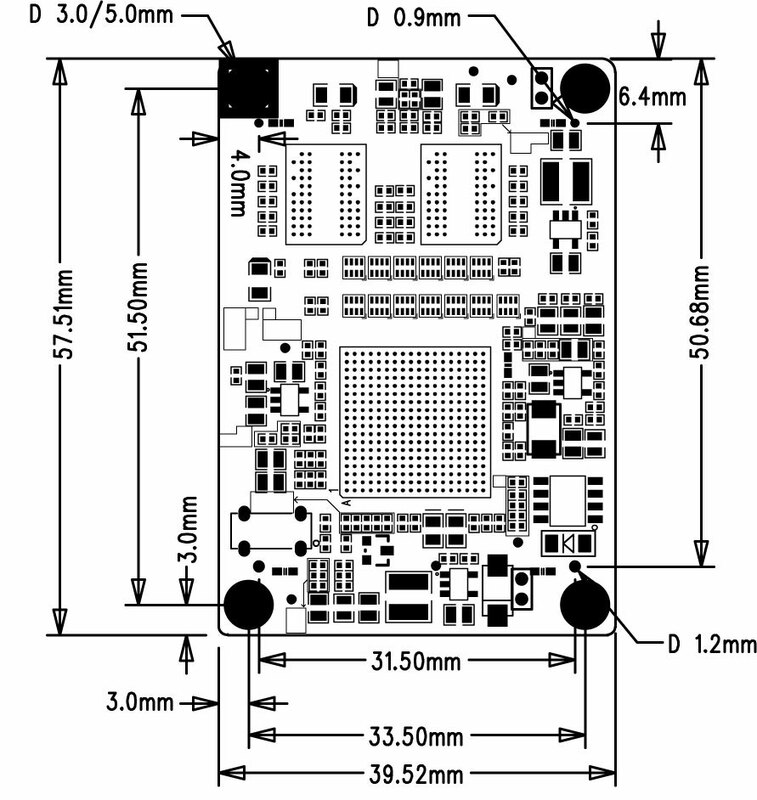 CoreWind also offers customer design service based on the CM-SAM9G45 board according to customer’s requirement. 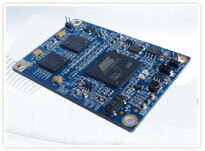 Whether you need to reduce, add or modify to existing hardware, CoreWind will help customers with expert competence and rich experience.